It's getting close to Easter time which means assembling more electronic bunnies and for that I need new PCBs. This time around I decided to place and order with Seeed Studio Fusion (that's 3 Es) instead of any of the other PCB Fab I've used in the past. Overall I have to say they have a much better quality than Shenzhen2U, service is fast but shipping is a little pricey, though still much cheaper than Oshpark. It took just 7 days to have my PCBs fabricated and then they were in my mailbox 3 days after that. That's quite impressive! Something that I really liked was the ability to preview your Gerbers before submitting the order. This is a definite plus over some of the other budget fabs. 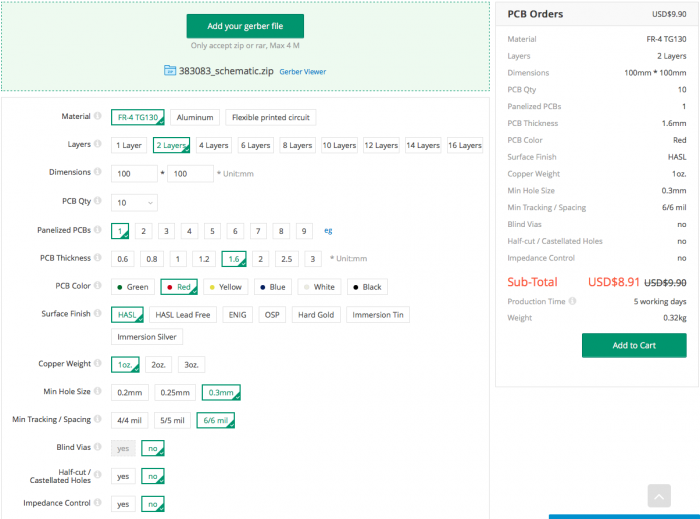 The actual ordering process is very similar to many others, just a single page form where you can choose all your PCB options. Coloured PCBs do not cost any extra from Seeed Fusion, so I went for red instead of the default green. In terms of shipping options, their page said that EMS and USPS were available, but when my order came up, these did not show. The standard post option was a very similar price to couriers so I skipped that and went for quicker delivery with DHL. My package arrived in a DHL bag and inside was a shipping envelope containing a vacuum sealed stack of PCBs. Visually the PCBs were of excellent quality. When I compared them to the previous batch I received from Shenzen2U, I could immediately see that the silk screen was much sharper and fine lines on symbols didn't bleed in together. Board milling was sharp and precise to the point where I could tell where the PCB outer edges changed direction. All the vias, plating and pads were of excellent quality. I put one of my flashing bunnies together, it turned out quite nice with the red PCB. So would I use Seeed Studio Fusion again? Definitely! 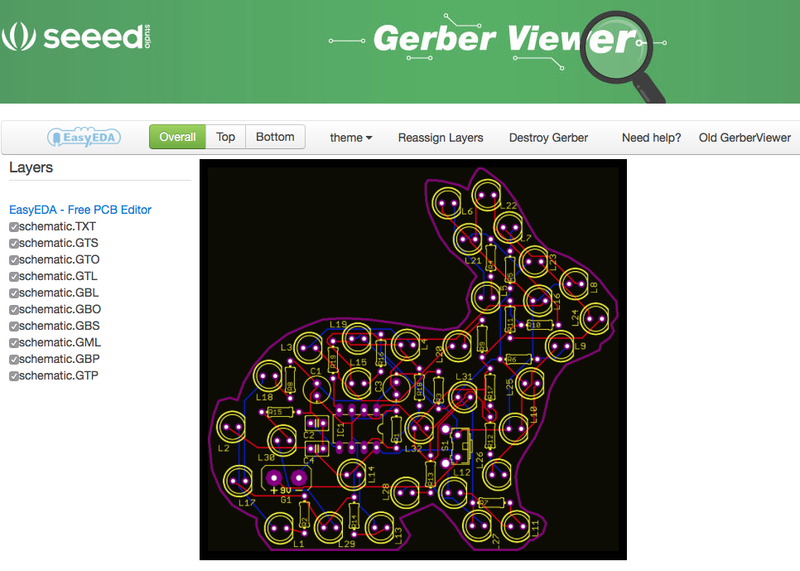 I really liked their web site and being able to preview my PCB before placing the order. Fabrication time was good and shipping even faster. I would prefer if cheaper shipping methods were available to me but I think the quality of these PCBs more than makes up for the little extra needed to ship them. Don't just take my word for it though, go check out Seeed Studio Fusion web site. There are more PCB fabrication options than the one I used, including flexible PCBs and PCBA. On their main site they also offer 3D printing services and a shop that sells various Arduino boards and other electronics kits.